I was introduced to Friands by a work colleague a little over a year ago when she brought these delicious little treats into the office one day for morning tea and I discovered another slice of sweet heaven. Friands may look like muffins or uniced cupcakes, but they are in fact, very different. Not only are they usually oval in shape (a different tin is used altogether), but their ingredients are a bit unusual as well…not unusual in themselves, but just that by combining icing sugar and egg whites instead of whole eggs, the end result is wonderfully light and fluffy. Very little flour is used and the addition of almond flour makes them deliciously chewy. Another nice thing about them is their versatility. You can add just about any flavourings (lemon, poppyseeds, blueberries, coconut, chocolate, etc.) and they will continue to delight. I’m not entirely sure how the shape came about as I’ve read that in France where they hail from, they had no specific shape, but no matter. My only advice though, is to let them rest in the tin/tray for about 10 minutes after removing them from the oven as they are so light and delicate that when I inverted the tray onto a wire cooling rack the first time I made them, the top half literally fell out of the tray. Treat them kindly and they will reward you. This might sound odd, but I also wasn’t sure whether to whisk the egg whites or just stir them in as the recipe didn’t say, but rest assured, you whisk the egg whites until they are white and frothy, almost at soft peak stage. 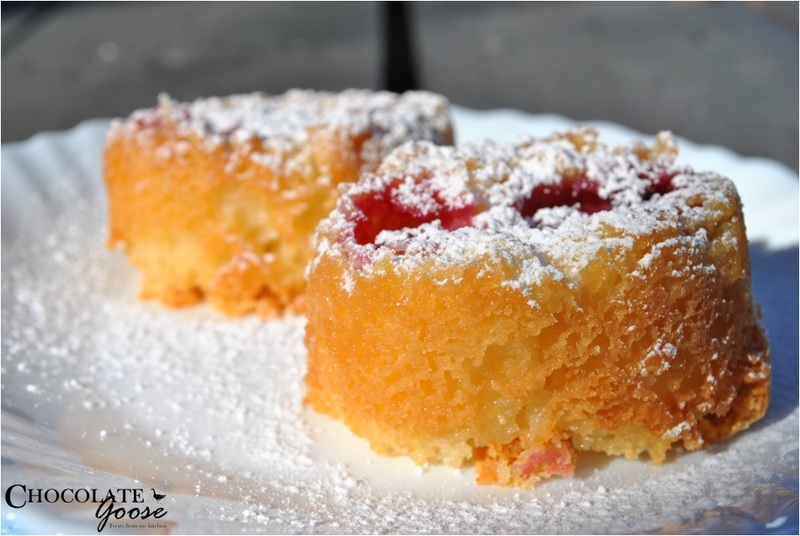 This aerating of the whites and the sieving of the dry ingredients adds the volume which gives these little cakes the ability to rise in the absence of any other raising agents like baking powder. Did you know that you can freeze egg whites? If you normally make custards or curds and aren’t sure what to do with the left over whites, add about 2 or 3 to a mini freezer bag. Note the quantity on the bag for when you want to use them again and freeze. Then defrost at room temperature when you want to make pavlovas, meringues or friands! Preheat the oven to 150°C and grease the 12-hole baking tray. Melt the butter and chocolate in the microwave or using a double boiler. Set aside to cool slightly. Whisk the egg whites until soft peak stage. Gently fold the egg whites into the dry ingredients using a metal spoon. Slowly pour in the melted butter and chocolate mixture and combine with the same metal spoon. Split the mixture equally between 10 – 12 holes, filling each hole about two thirds of the way up. Push 2 or 3 raspberries into each friand and place the tray in the oven. Bake for 35 minutes or until a skewer inserted into each friand comes out clean. Allow to cool in the tin for about 10 minutes and then transfer to a wire rack to cool completely. When cool, sprinkle with a little icing sugar to decorate and serve immediately.